ISRO to launch GSAT-29 communication satellite onboard GSLV MkIII-D2 mission..
Satellite Updates: ISRO to launch GSAT-29 communication satellite onboard GSLV MkIII-D2 mission..
Satellite Updates : ISRO to launch GSAT-29 communication satellite onboard GSLV MkIII-D2 mission.. 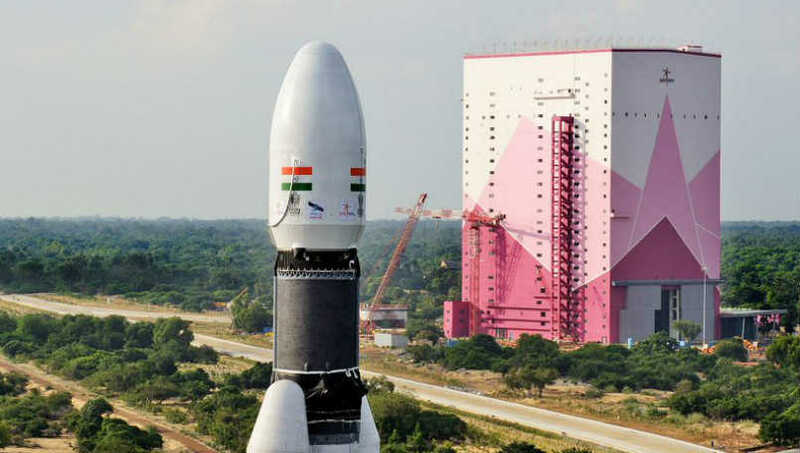 The GSLV MkIII-D2 mission is scheduled to launch India’s high throughput communication satellite, GSAT-29 tentatively on Wednesday from the Satish Dhawan Space Centre at Sriharikota, ISRO said. However, the launch is subject to weather conditions, the space agency said Monday. GSLV MkIII-D2 would inject the satellite into Geostationary Transfer Orbit (GTO) with required inclination to the equator. The satellite will be placed in its final Geostationary Orbit (GEO) using the onboard propulsion system, and it may take a few days after separation from launcher to reach its orbital slot, the Indian Space Research Organisation said on its website. GSAT-29 is a communication satellite weighing about 3,423 kg, and is designed for a mission life of 10 years. ISRO said the satellite carries Ka/Ku-band high throughput communication transponders intended to meet the communication requirements of users, including those in remote areas. In addition, several new technologies such as Q/V-band payload, data transmission through optical communication link will be demonstrated. This will help in realizing futureadvanced satellites, ISRO said. The spacecraft will be located at 55 E longitude. Stating that GSLV MkIII is a three-stage heavy lift launch vehicle developed by ISRO, the space agency said the vehicle has two solid strap-ons as the first stage, a liquid propellant core as second stage and a cryogenic as third stage. GSLV Mk III is designed to carry four ton class of satellites into Geosynchronous Transfer Orbit (GTO) or about 10 tons to Low Earth Orbit (LEO), which is about twice the capability of GSLV Mk II.